"The Hive" A-Buzz with "The Fetch" - Live Interview! THIS SHOW CANCELLED DUE TO TECHNICAL DIFFICULTIES...MY APOLOGIES FOR THOSE WHO HAVE GONE TO SHOW AND FOUND "DEAD AIR"...WILL ADVISE WHEN RE-SCHEDULED. The "bee" is one of the most important of Nature's creatures within the web of life. To highlight this very point, the "bee" has been given its very own verb in the English language, "to be". And, to represent how the "bee" as a verb is representative of the ever changing nature of the Occult, the verb breaks down into many seemingly unconnected words and spellings. Join "The Fetch" on HiveMind1984 Radio at Blog Talk Radio, January 28, 2011 @ 11:00 PM EST! Within Secret Societies, the "bee" is ever present. One must simply open one's eyes and look. 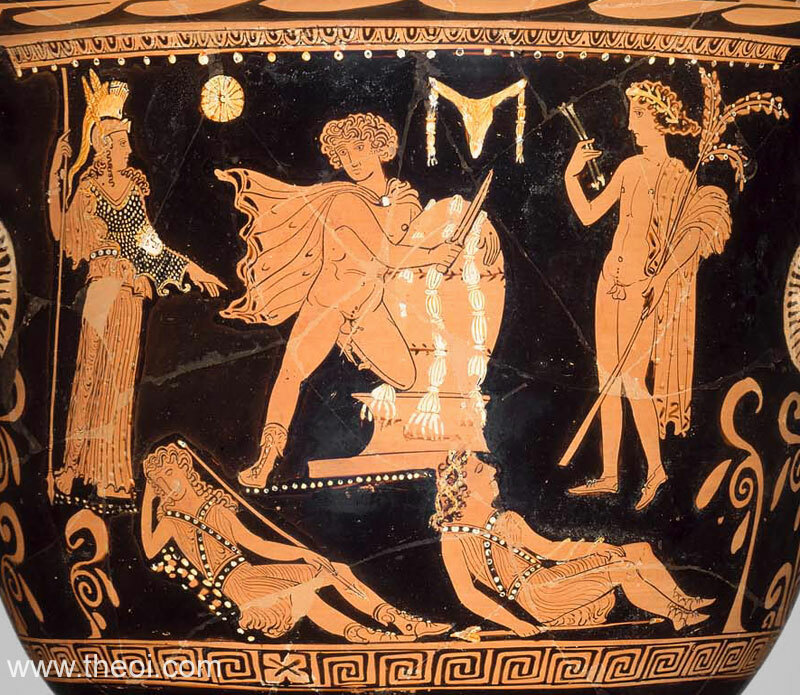 The beehive is the omphalos, or "navel" points as practiced in various cultures through history. 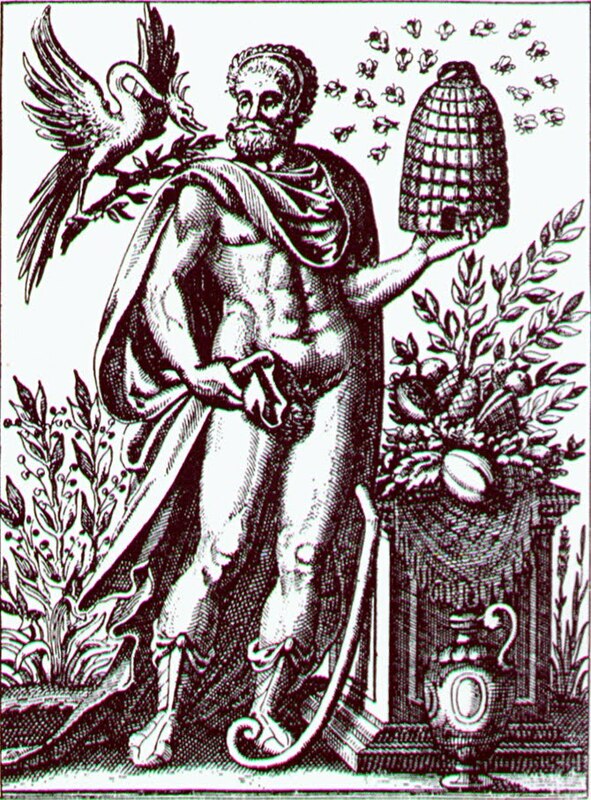 Of course, "bees" and their "hive" represent the ultimate in "order and reason" as an Occult construction. After all, what is invoked when one wants a child to act "properly"? Behave! (bee-hive)! Act as the bee hive! Listen live or catch the show on archive, here at the Illuminatus Observor or at Garrett's Hivemind1984 Blog Talk Radio. After years of debating "the narrow vision" of the "scientific mind" in forums across the world wide web, "the Fetch" will finally discuss the relative limits of "objective analysis" as it applies to the world of Qaballa. Join me for a what should prove to be a fascinating discussion with Kyle Hunt of Star Theory on the intricate relationship of the "Coincidence of Opposites", "De Docta Ingnorantia" (The Ignorance of Science), and how you can better understand the limitations of purely objective reasoning. This show will be especially of interest to everyone who seeks to better comprehend the language of the Illuminatus via the Isisian Codes. Thanks to everyone for their support from the Red Ice Radio and Occult of Personality interviews. The response has been phenomenal so look forward to even better cutting edge occult material from "the Fetch" at "the Illuminatus Observor"! "The Fetch" - Red Ice Radio and Occult of Personality New Year Blast! It is great to announce the release of two highly informative interviews with "The Fetch" on Red Ice Radio and Occult of Personality. It is such a great honor and tribute to have each of these interviews being released on the same day to start the 2011 season for these two banner websites. Occult of Personality is produced by "Greg Kaminsky" and is dedicated to exploring Western Esoteric Traditions. Occult of Personality is also a great repository of information regarding these same said traditions. The shows are listener sponsored (donations are always appreciated) and are two tiered - free content followed by listener supported subscription content. This is a great show and interview. It actually took over a year to get together, primarily due to scheduling conflicts between our two schedules. The recording took place in October 2010 when the Illuminatus Observor had yet to reach 200,000 visitors. Thanks to all the support - we will reach 250,000 visitors this week. 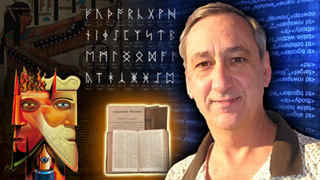 In this interview, we get a good little historical background relative to the development of the Isisian Codes. The show moves really fast and is very entertaining. Greg's questions were poignant and thoughtful and does well to take into consideration various levels of understanding of the craft of Qaballa. I like the interview...and am sure you will too. Red Ice Radio - We Present. You Decide. What more need we say about Red Ice Creations? Henrik Palmgren and his team have put together one of the more successful and innovative websites covering alternative media topics. Red Ice Radio is one of the better produced audio podcasts available today and is rewarded with a wide range of feeds across many markets across the globe, such feeds to include radio exposure. To work with Henrik was a lot of fun and the enthusiasm shows through in this interview (I sometimes didn't let Henrik speak enough), but as always, Henrik was well prepared. You will find some dyslexic mistakes in the show, but if you are familiar with the Illuminatus Observor, you might see how 1's are 9's and 9's are 1's and how the thought is on a 9 while the 1 is verbalized. It was clear that Henrik and I were very similar in our approach and understanding. This interview is really worth the time, and a subscription for added content is always welcome. Do visit Red Ice Creations to let Henrik and his team know how much you appreciate this show...as it is a tribute and recognition of all your support and efforts equally. A Great Way to Start 2011!!! The Illuminatus Observor is the definitive source for revealing the underlying mathematical philosophy of the Illuminatus. 2011 promises additional cutting edge Hermetic Qaballa knowledge and information and 2011 will see additional insights and media employed to bring you exceptional Occult knowledge that has become a hallmark of the Illuminatus Observor.